For all my nerdy readers and friends, here is a pattern I promised to make a loooong time ago. 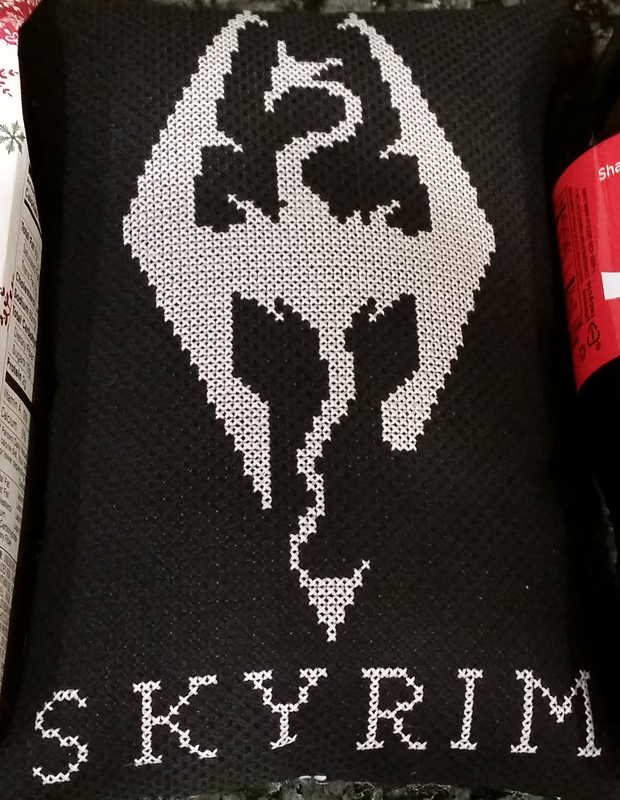 It is a adaptation of the logo of Skyrim, an amazing game by Bethesda softworks. I had a lot of fun hours, wathing my husband play it (and interfering all the time 😉 ). Try stitching this pattern in grey (closer to original logo) or in multicolor. Thanks for this pattern! I’m currently stitching it as a gift for Reddit’s 2015 secret santa exchange. I’ll post a picture when I finish it. Come back in a couple of days, I am goinf to make a Fus Ro Dah pattern this week!